DNS Accountants is one of the top organizations providing accounting and finance management services in England. Accounting and funding management are amongst the most crucial areas that a business should focus on for its success and longevity. We understand the importance of properly maintained accounts and deliver all kinds of solutions to small businesses and organizations to help them with their finance, taxation, and accounts. With improving businesses prospects for start-ups in England, the requirement of high-grade accounting services has also increased. A large number of small firms and start-ups are in need of quality accounting services for handling their finance and accounting departments. These two departments are important for all organizations for they play a major role in determining the organization’s profitability. Well managed accounts and perfectly planned finances are amongst the essentials that are required for a successful business or start-up. These two things not only bring huge profits to the business but also save it from certain penalties and legal problems. At DNS Accountants, you can easily find solutions to all kinds of problems related to accounting and finances. We assist you in resolving any and every accounting concern that your business may face at any point in time. We have an amazing team of highly experienced and qualified accountants who are fully dedicated to delivering best possible services and solutions to all our clients. We are with our customers from the very beginning and guide them in planning and maintaining their accounts and finances along with helping them in the case of any legal issues or statutory penalties. We have analytically planned this combination of four services and through this, we ensure solutions to almost all the main issues that organizations face while handling their finance and accounts. DNS Accountants is renowned for its exceptional work ethics and services. We are an award winning accountancy firm that delivers amazing solutions for all the key accounting problems that a business may face at any point in time. We are an experienced consultancy firm and have built a huge customer base through our dedicated efforts and quality services. 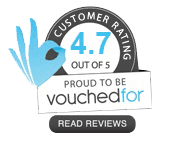 We, with our proficient accountants, are amongst the top accounting firms in England and have won numerous awards and accolades for our exceptional services. DNS Accountants publishes a regular newsletter for its clients for guiding them on diverse fields in accounting and finance and how to manage the same. Our newsletter is consists of well-researched facts and data and has been extremely helpful for all our clients. We include top articles, suggestions, laws, strategies and much more related to finance and accounting in our newsletter. DNS Accountants not only guides its clients and manages their finances and accounts but also ensure no penalties are charged to them. We ensure that our clients pay all their taxes and other dues on time so that they do not face any penalties. We deliver the work that satisfies our customers and ensures high levels of success for them. Wolverhampton is the city in England known for its tall buildings and numerous manufacturing plants. The city has been at the forefront of country’s economic growth in the past and is still continuing to do so. The service sector, Iron and Steel industry, automobiles and other engineering industries and a large number of manufacturing establishments are the major contributors to its economic growth. Apart from well-established manufacturing and services sector, Wolverhampton is also known for its excellent buildings and infrastructure. The city has seen considerable infrastructural development in last few years and is still continuing to do so. Many renowned brands, like Jaguar and Rover, already have their manufacturing units in this city and much more are planning to shift base here. It is primarily the manufacturing industries and service sector that majorly employs the population of this town. With a large number of manufacturing industries, this city already possesses all the necessary resources that are required to run a business. Wolverhampton is amongst the perfect places to start a small business or a start-up in England. This city provides all the necessary and desired resources for running your business. With the vast availability of manufacturing plants and a huge scope for small firms and start-ups, Wolverhampton opens up opportunities for DNS Accountants to help the businesses with their accounting, financial and taxation needs. Being an experienced firm, we understand the accounting needs and challenges that are being faced by businesses and start-ups in Wolverhampton or the ones that they may face in future. With our highly skilled contractor accountants, we provide the best solutions for all these concerns and issues. Our experts ensure full client satisfaction with their quality work. 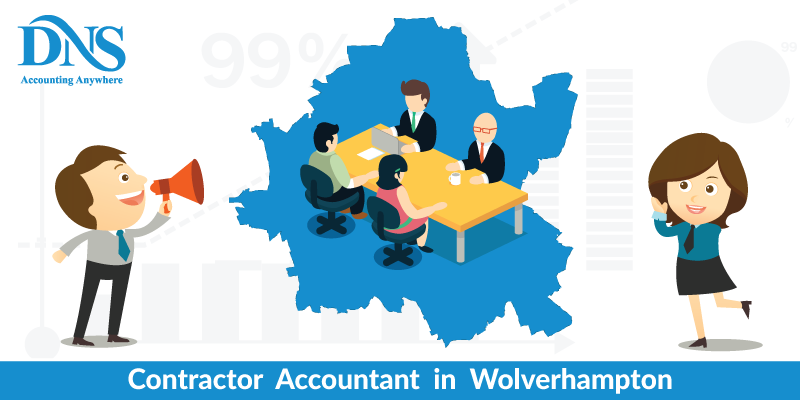 Similarly, there is a huge demand for tax accountants in Wolverhampton to compliment the services of experienced chartered accountants in the region. All businesses and start-ups need the services of chartered accountants and tax accounting experts for handling their accounts and finances and providing them with accurate tax management. With the advancement in computing technology, the accounting and finance management sector has also progressed a lot. Now the markets are full of multiple accounting software that is exceptionally helpful in managing and supervising the accounts and finance of any industry. With the increased use of such software, the demand for IT contractor accountants in has also increased exponentially. DNS Accountants delivers accounting services in all spheres ranging from strategic solutions to the appropriate accounting personnel depending upon the requirements of your business. We are amongst the top organizations that provide best online accountants in Wolverhampton for highly satisfactory consultancy services. is our most valuable service that helps start-ups and small businesses manage their employees, their salaries, their bonuses, etc. with relative ease. With our cloud accounting software and IT contractor accountants, we ensure real-time information to the management or owners about payroll related matters for any business. With this service, we provide comprehensive payroll information to our clients at their convenience. Apart from Wolverhampton, there are cities, like Cannock, Birmingham, wolverhampton, Stafford, Telford, Dudley and Walsall, which possess great opportunities and resources for start-ups and small businesses. With great potential for businesses, these cities are also enjoying the expertise of DNS Accountants and the services being provided by us!